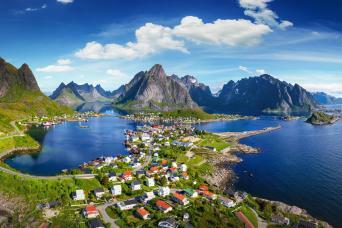 A bucket-list destination for many walkers, Norway really is an outdoor lovers' paradise! 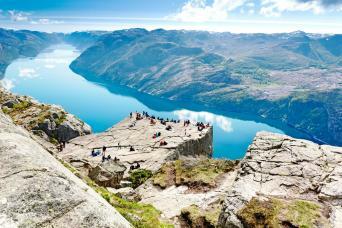 There are plenty of options for those considering walking holidays Norway. Enjoy way-marked trails through peaceful forests and mountain trails to impressive viewpoints on our Sognefjord and Hardangerfjord trips. Drive and hike your way from lively Stavanger to Hanseatic Bergen, ticking off some iconic treks along the way including the Kjerag and Trolltunga on our Drive and Hike trip. Railway fans will be delighted with our Rail and Hike trip which combines walking in some of the most scenic areas in Norway with a ride on one of the world's most beautiful railway lines from Oslo to Bergen. We have carefully selected and researched our favourite walks so whatever your interests we can arrange your ideal walking holiday in Norway. Enjoy spectacular fjord views and wild green valleys surrounded by mountains on a week long walking trip around the "king of fjords", the Sognefjord. 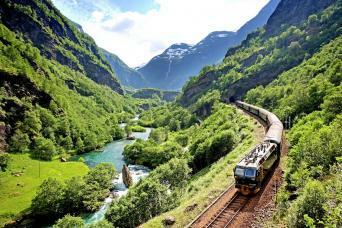 Travel on one of the world’s most scenic railways from Oslo to Bergen, hopping off to enjoy fantastic walking along the way. Easily accessed from Bergen and with the most gentle but still spectacular landscapes of the Norwegian Fjords, this week long walking holiday is the perfect introduction to Fjord Norway. 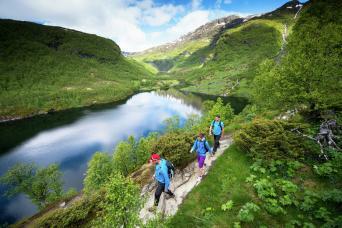 A relaxing, hassle-free walking holiday in Norway's oldest National Park. 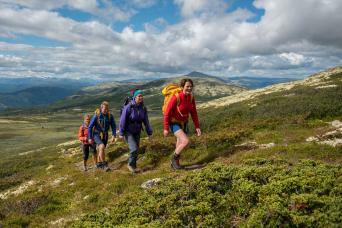 Hike from lodge to lodge, through dramatic landscapes and wilderness. 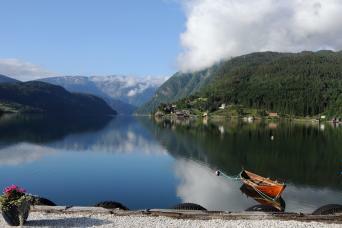 Enjoy a hearty, home-made norwegian dinner at the end of each day's walking.